Tally-ho! I caught some pips on the AUDUSD! Though, I think this trade has gone long enough. With the US advance GDP coming out later and the pair finding some significant buying support at 0.8900, I decided to lock in my profits and look for opportunities elsewhere. To be honest, I was scared as heck holding on to this trade. The pair kept finding support at 0.9000, which got me to think that buyers could soon overpower the sellers and cause a major rally! Fortunately, risk aversion was strong, giving me a good reason to hold on to my trade. shoulders for some) my profit target was hit. From the looks of it, the pair still has some gas to go lower so I think I’ll keep this trade open for a bit more. As usual, though, I’m going to move the stop on my remaining position to my entry point for a risk-free trade. Good day ladies and gentlemen. Did ya’ll have a great weekend? I know I did… I was able to catch up with an old friend of mine over dinner last Saturday. I found it great on how I could still talk to her the exact same way as four years ago. There are really some things that never change. Anyhow, enough of my personal life, it is a brand new trading week so I’m going to get right on it! 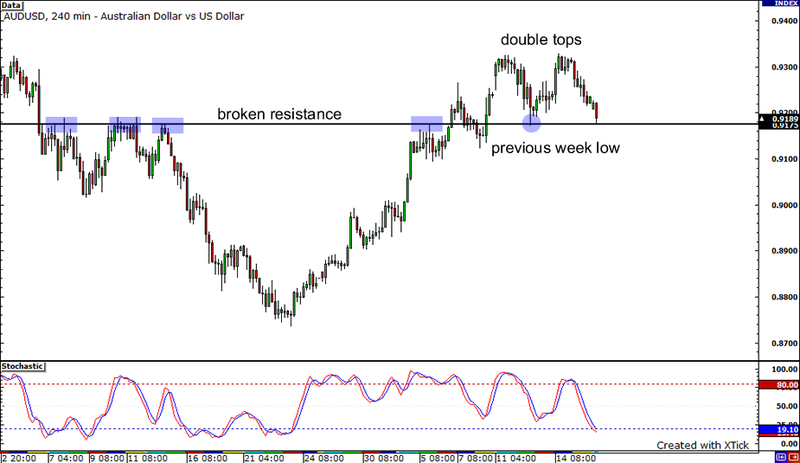 I took a look at Happy Pip’s trade update and noticed that she mentioned a possible double top formation on the AUDUSD. I decided to pop open my charts and voila – it does look like a double top to me! Now, I’ve never traded a double top before but from reading the description in Babypip’s Forexpedia page, I read that it’s a bearish reversal pattern. In my opinion, it also fundamentally makes sense. Despite the RBA’s upbeat economic outlook, consumer’s sentiment has been falling for the past four months. The latest Westpac consumer sentiment figure dropped by 3.8% after already sliding by 2.6% during the previous period. I think traders will keeping an eye out on China’s 4Q GDP release on Thursday. Australia, as Forex Gump keeps telling me, is one of China’s major suppliers of input materials so a 10.5% expected GDP growth and a 19.6% annualized industrial production could push the Aussie higher. Though something tells me that these projections are too high so instead of going long, I’m going to short the pair when it breaks out to the down side. I’m looking to short below last week’s low, which is also the below the neckline of the two tops. My stop loss will be at about 100 pips, with my targets set at 0.9000, a former area of interest, and 0.8800, the next major support level. 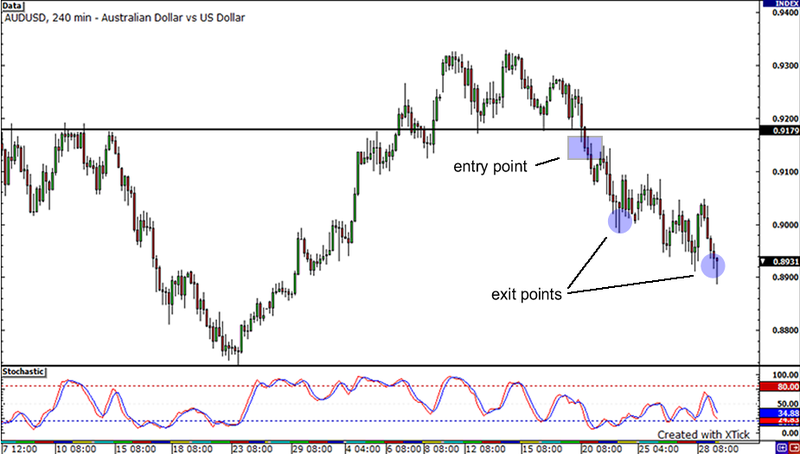 Short AUDUSD at 0.9150, stop loss at 0.9250, take profit at 0.9000 and 0.8800. As I always do, I will risk 1% of my account.